Please join us at our holiday celebration for members! Bring the family and a potluck dish if you can. Also, this is an opportunity to donate a new gift for the kids at the Lifelink. Make their Christmas a little brighter and receive a complimentary gift card for a month of training to give to a friend! Details on toy drive below. 71 boys and 58 girls need your help with a Christmas miracle! 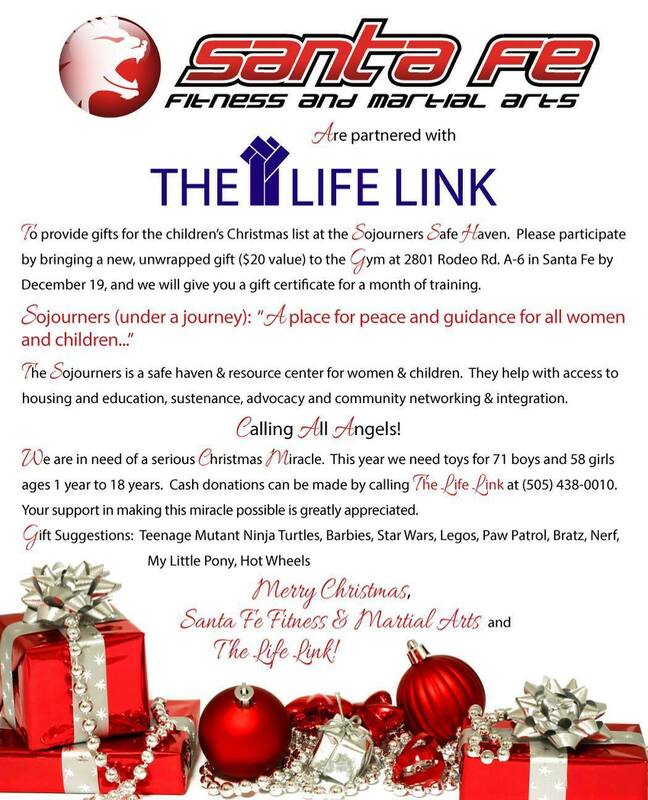 Join Santa Fe Brazilian Jiu Jitsu and Santa Fe Fitness and Martial Arts in collecting holiday gifts for children at the Lifelink and The Sojourners Safe Haven. Donate by bringing a new, unwrapped gift ($20 value) to the gym at 2801 Rodeo Rd, Suite A6, in Santa Fe, before December 19 and we’ll give you a gift certificate for 1 month of free training. We need toys for kids age 1 to 18. These kids would greatly appreciate a gift this holiday! The Sojourners is a safe haven and resource center for women and children. Each year, because of generous donations from the community, each child receives a holiday gift. Thank you! 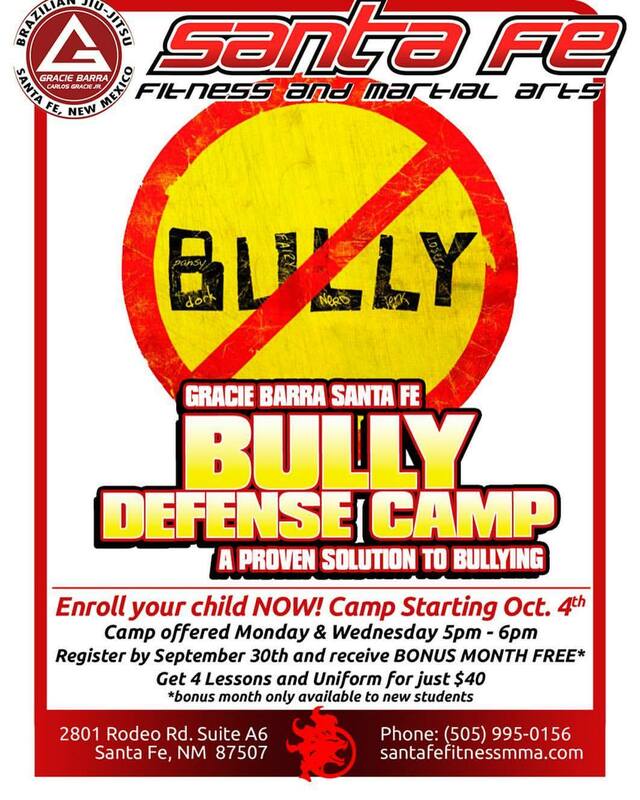 Santa Fe Fitness and Martial Arts presents the Gracie Barra Santa Fe Bully Defense Camp. Enroll your child now! Camp starting October 4th, 2017. Camp offered Monday & Wednesday 5 pm to 6 pm. Register by September 30th, and receive BONUS MONTH FREE*. Get 4 lessons for just $40.